At the height of his fame, he had problems in Mexico and the United States for not paying taxes. He was also linked to the Cali drug cartel when Fernando Rodriguez, son of Colombian drug trafficker Gilberto Rodr?guez Orejuela, wrote in his book "The Son of Chess Player" that Juan Gabriel sang at a party in Colombia for the cartel leaders. The singer denied the claim. The quake struck just after 3:30 a.m. and was felt across a broad section of central Italy, including the capital Rome. The hardest-hit towns were reported as Amatrice and Accumoli near Rieti, with residents running into the streets as aftershocks continued into the early morning hours. As daylight dawned, residents and civil protection workers began digging out with shovels and bulldozers as dazed residents huddled in the open streets. The mayor of the quake-hit town of Accumoli, Stefano Petrucci, said a family of four had been located under the debris of a collapsed building but there were no signs of life. "There are deaths," he told state-run RaiNews24. The mayor of Amatrice near Rieti, Sergio Pirozzi, told state-run RAI radio and Sky TG24 that residents were buried under collapsed buildings, that the lights had gone out and that heavy equipment was needed to clear streets covered with debris. Two babies in California have been born with the severe birth defect microcephaly after their mothers were infected with the Zika virus while traveling in foreign countries where the virus is common, state public health officials announced Thursday. Because of privacy concerns, state officials would not release any more information about who the mothers are, where they live and where they traveled, other than to say the cases occurred this year. They are the first reported cases of babies born with microcephaly in the state in connection with the Zika virus. As of July 28, 15 babies had been born in the U.S. with Zika-related birth defects, according to the Centers for Disease Control and Prevention. It's not clear whether the California babies are included in the CDC tally. Another six babies with Zika-related birth defects in the U.S. were miscarried or stillbirths, according to the CDC. 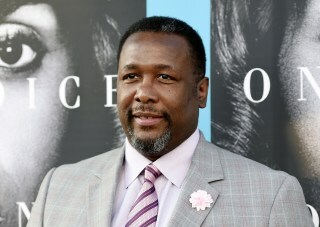 "The Wire" and "Treme" actor Wendell Pierce's home was destroyed by flooding in Baton Rouge, Louisiana, 11 years after his childhood home was ravaged by Hurricane Katrina. The 52-year-old Louisiana native revealed the news Sunday on Twitter. He says the response to his loss reminded him of "the generosity given to my family during Katrina." Pierce's parents' home was damaged when Hurricane Katrina hit New Orleans in 2005. A noticeably shaken Pierce called the destruction "a private pain" in the video. At least ten people have been killed and more than 20,000 have had to be rescued since Friday in some of the worst flooding the state has ever seen. Floodwaters were receding in many parts of south Louisiana on Tuesday, though they were continuing to rise in other areas as the water drained south. Residents in areas where floodwaters were receding Tuesday are going back to see what is left of their homes and it's a devastating picture. A judge has awarded $70 million to the families of the four staffers of Latin music superstar Jenni Rivera who died along with the performer when their private plane crashed in Mexico in 2012. Los Angeles County Superior Court Judge Holly Kendig entered the default judgment against Starwood Management Inc., the owner of the Learjet that was carrying Rivera and her entourage when it smashed into the side of a mountain.